Enjoy it while you can. 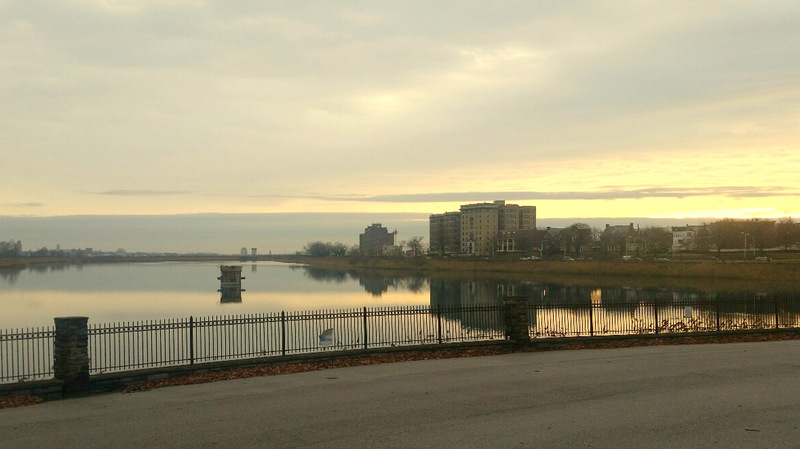 Come early this spring, historic Druid Lake, a favorite spot for Baltimoreans to stroll, jog, bike or simply watch the sun rise, will become the site of a massive construction project scheduled to last through the end of 2021. 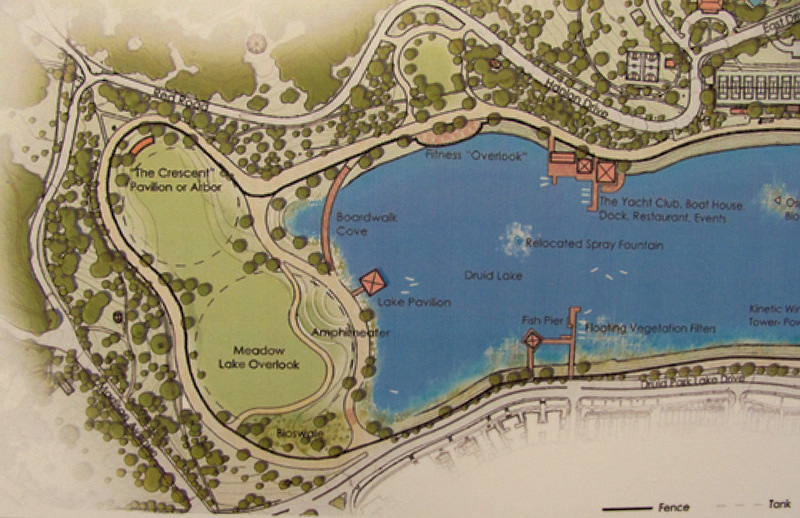 When the cranes and bulldozers complete their task, the watery centerpiece of the city’s largest park – the 31-acre reservoir along the southeast perimeter of Druid Hill Park – will be reduced by 6.3 acres to accommodate two underground water tanks mandated by federal regulators. The Board of Estimates this week approved a $134 million award to Texas-based Oscar Renda Contracting, Inc. to build and bury the tanks, then turn the surface into open space. What this will mean to park goers is that two-thirds of the promenade surrounding the lake will be closed during some or all of the 4½-year-long project, Jeffrey Raymond, spokesman for the Department of Public Works, told The Brew. The western portion of the promenade (roughly from the tennis courts at East Drive around to the vicinity of Brookfield Avenue and Druid Park Lake Drive) will be closed during some phases of the project. Plans for park improvements are in a formative stage – with no solid money behind them. Additional repercussions of construction will spread to other parts of the park. For example, six-foot-diameter water mains will need to be installed to and from the underground storage tanks to tie them to the existing water system. A new line will be dug along Druid Park Lake Drive (roughly from Eutaw Place to Mt. Royal Terrace). Other subterranean pipe, valves and vaults will run north of the lake. The fate of the eastern portion of the lake is uncertain. The city has floated the idea of turning the lake, which will no longer hold drinking water, into a recreational facility replete with a boat house, fishing pier and yacht club. In addition, there are proposals for a pavilion, or even an amphitheater, over the buried tanks. These plans, however, are in a formative stage and have no solid money behind them. DPW has promised to design and install landscaping over the underground tanks up to a cost of $1.49 million. Further enhancements are in the hands of the perennially underfunded Department of Recreation and Parks. MORE on the project’s ramifications on Druid Hill Park: here and here. One concern by park advocates is that the lake’s water could stagnate – or even evaporate – once it is bypassed and maintained by the city. Art Shapiro, former chief of water engineering, promised at an earlier public hearing that the city would “figure out” a way to either direct ground water into the lake or bleed off enough drinking water to keep it filled. Further details have not been disclosed. In its approval of the contract (WC 1204) on Wednesday, the Board of Estimates allocated a total of $164.1 million. That included not only the contractor’s bid price of $134.5 million, but $6.7 million for engineering costs, $8 million for administration, $8 million for inspection – and $6,724,374 for potential cost overruns, known as EWOs (Extra Work Orders). To pay for the city’s portion of the project, the BOE allocated $97 million in water revenue bonds. The remaining $67 million will be footed by Baltimore County, which shares the water system. The action was taken during the first board meeting attended by newly-installed Mayor Catherine Pugh. It was approved without comment by Pugh or the four other members – City Council President Bernard C. “Jack” Young, Comptroller Joan Pratt, Public Works Director Rudolph Chow and acting City Solicitor David Ralph. DPW intends to issue a “notice to proceed” to Renda Contracting around March 1, according to Raymond. Preliminary construction should begin in 2017.